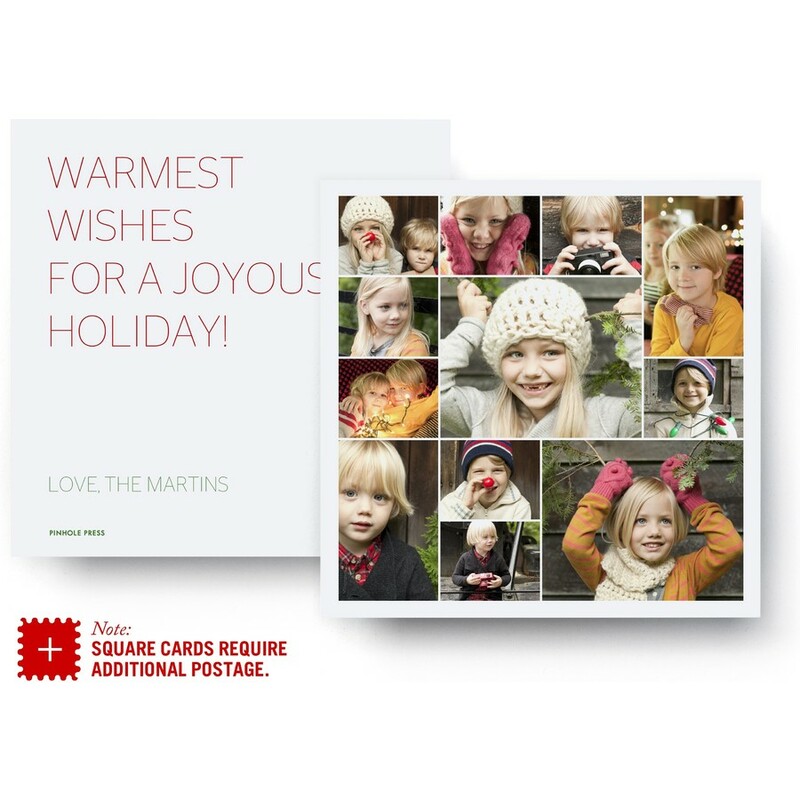 There's room for everyone on this holiday photo card. Displays 12 photos with space on the flip side to share highlights from the year. Square photo cards require a $0.71 USPS stamp.